I came to the conclusion last night while watching the latest episode of Community that the show is probably the epitome of diverse casting on a TV show. You've got range in age, gender, and race. This comes on the heels of discussions about the lack of actors of color on Mad Men (which I've touched on before) and the lack of actors of color on the new HBO drama, Girls. 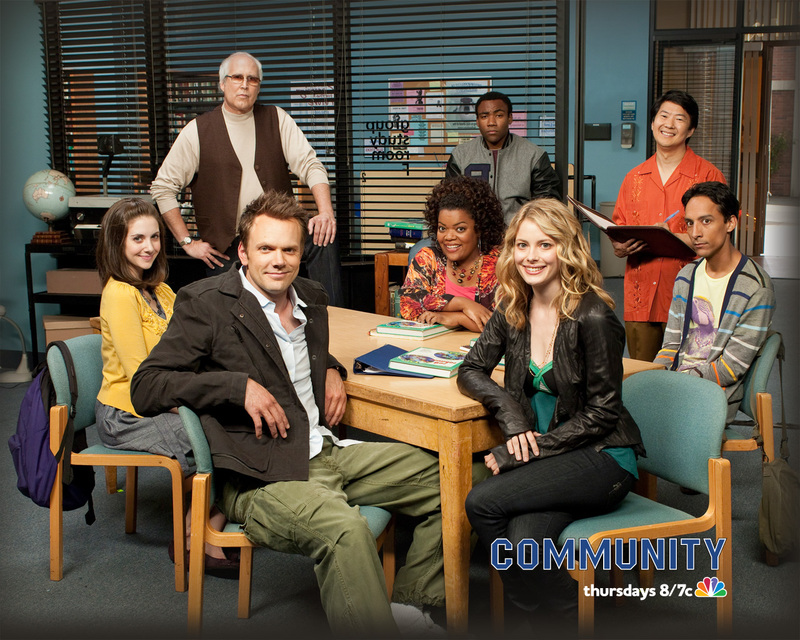 The difference between those two shows and Community is that the story-line of Community lends itself to great diversity. I can't think of a greater location in life outside of a grocery store where you are apt to find diversity like you would in a community college. When I watched the pilot episode of Girls, it didn't even occur to me that there wasn't a character of color. It didn't seem foreign for the lives of the girls we were getting to know. I don't feel the need to force diversity into places where it wouldn't be naturally. Not every segment of society has diversity, and when a show is reflecting one of those segments, I don't mind it being true. Thanks for the comment, really appreciate it :). I've never seen either of those shows. lol. All I watch is Dancing with the Stars & Castle!